Lucio “Bong” Tan Jr., son and namesake of PAL chairman and majority owner, said the transfer of the accounts to MacroAsia bodes well for the aviation-services provider and for PAL. “More than the revenues, there will be synergy because the two companies are both Lucio Tan companies,” said Tan, a member of the nine-member board of directors of MacroAsia and vice chairman of PAL Holdings Inc., the parent company of Philippine Airlines. Bong Tan said it was time to take over the accounts because PAL is bigger now and MacroAsia could better meet its demands. It would also be good for the passengers of the four-star carrier. 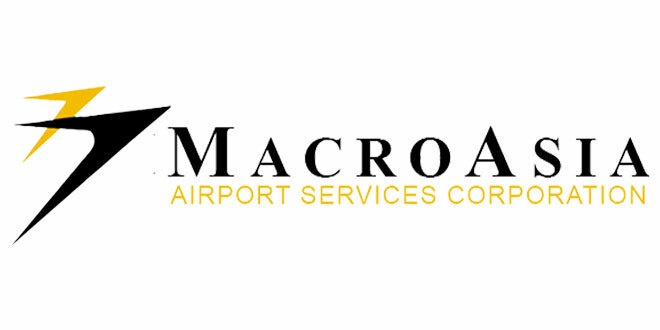 “MacroAsia is the number one airline caterer in the country. We’ve won many awards. We cater to all other international airlines,” Tan said. The new contracts have taken effect – MacroAsia is now the ground handler for PAL and PALEx in Manila and Cebu, involving passenger services, ramp handling, cargo and others. MacroAsia is also now the inflight meals provider of PAL which requires 17,000 to 22,000 meals per day. MacroAsia will run this kitchen through a 100 percent-owned MACS subsidiary called MacroAsia SATS Inflight Services Corp.
Tan said the increase in catering volume would translate to substantial recurring revenue growth for MacroAsia, and the opportunity to drive down material costs as purchasing volume could eventually be aggregated under a shared-services setup. Aside from bagging the accounts, MacroAsia also sees rosy prospects because of its growing client base, expanding businesses and its foray into aviation training, Tan said. The company recently inaugurated its First Aviation Academy, a joint venture between MacroAsia Corp. and PTC Holdings in Subic Bay International Airport. Its first training class for pilots will start in April. After the start of this pilot school in Subic, FAA also plans to build two other training facilities in Visayas and Mindanao with demand for pilots in the Asia-Pacific region steadily growing. MacroAsia is chaired by Lucio Tan with Joseph Chua as president and chief operating officer.